On December 23, 2004, near Streator, Illinois, three teenagers ignored flashing lights and drove around the gates at a railway crossing. A train struck their car. Two teenagers lost their lives that night. One survived. I know because I was the conductor on that train. I also know that if it wasn’t for the timely response by me and my colleague — the train’s engineer — I’m not sure anyone would have survived. This matters because railroads want to cut costs by operating freight trains with a single crew member. Luckily, our government understands that people and safety must never be compromised when operating massive freight trains. Earlier this year, the Federal Railroad Administration released a proposed regulation requiring that most freight trains be operated with two crew members. This is a good first step, but the proposal doesn’t apply to all freight trains, and doesn’t require that the second crewmember be a conductor. If safety is the top priority, two qualified crew members — a conductor and an engineer — are needed on all freight trains. Conductors and engineers work together to safely get trains to their destinations, and during an emergency, our teamwork is critical. As a conductor, if and when emergencies occur, it is my job to get off the train, assess the situation and address any life-threatening issues. 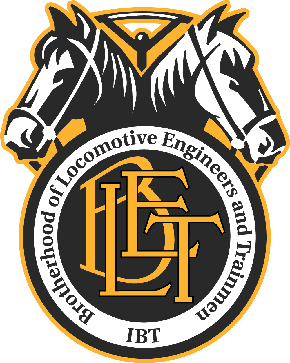 It is the engineer’s job to stay on board, communicate with dispatchers and other trains in the area, and make sure that the locomotive is secure. That’s exactly what happened on that horrific night in 2004. Once I got to the wreckage, what I found can only be described as grisly. All three teenagers had been ejected from car. It was clear that two had perished. I knew there was nothing I could do to help them. I found the third passenger face down in a ditch. He was alive, but barely. Not long after I found him, firefighters pulled up to the scene. They told me an ambulance was just a few minutes away, but we soon realized the ambulance was on the wrong side of the tracks, cut off by the train from the teenager who desperately needed help. I radioed to the engineer about the situation. We agreed there was only one solution: we needed to create space between the cars of the train so the ambulance could drive through – a maneuver that requires two people to complete. I uncoupled the train cars and the engineer pulled the front of locomotive forward, creating room for the ambulance to reach the crash victim. There’s no way a single crew member could have secured the train, briefed emergency personnel, uncoupled train cars and moved the front of the train forward all on his or her own. Our train that night was 7,000 feet – nearly a mile and a half – long. If we hadn’t been able to separate cars at that exact moment, the ambulance would have had to go miles out of its way to get to the crash victim. That would have taken minutes in a situation where time was not on our side. I tell this story not because I want praise for what the engineer and I did that night, but to explain why two qualified crew members are needed on a freight train. Conductors and engineers don’t just operate trains. In emergency situations, we’re first on the scene. Our presence and teamwork can mean the difference between life and death. For me, this was true not only that night in Illinois, but every night of my career. I love my job, and I am proud to work for BNSF. But I’ve also seen enough to know that those who want one-crew train operations are not fully grasping the risks, emergencies and close calls that my fellow conductors and engineers see on the rails regularly. Take it from us: operating a freight train with a single crew member is unsafe. A strong federal policy requiring a conductor and an engineer on freight trains will prevent accidents and save lives.